Ever since Apple showed us a dog skateboarding over the display of the Apple iPhone, YouTube has become a very popular app on smartphones. There are some for whom the lack of a YouTube client is a deal breaker when buying a phone and there are other who just don't care, preferring to use the mobile site. The official YouTube client is available on iOS and on Android which makes sense since it was an original app for the Apple iPhone, and YouTube is owned by Google. What many of you think is an official YouTube client is merely a button that re-directs you to the mobile YouTube site powered by HTML5. That is what BlackBerry fans and Windows Phone user have had to use, although a third party site called METROTube had been available in the Windows Phone Marketplace. 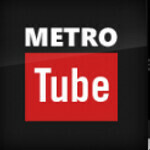 METROTube's goal was to deliver the same YouTube experience that iOS and Android users take for granted everyday. Unfortunately, without the YouTube APIs, the app had to rely on workarounds which eventually forced LazyWorm Apps, the developer of METROTube, to pull the app from the Windows Phone Marketplace in January. During the hiatus, the developers tried to come up with a better mousetrap, but to no avail. So back to the Windows Phone Marketplace goes METROTube without a method for downloading video or viewing non-mobile videos. What the developers are hoping for is massive support of the app so that Google and Microsoft will have to show them a little respect. 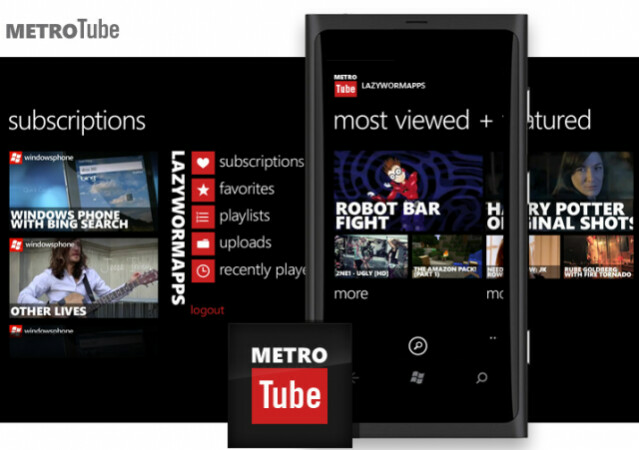 METROTube should now be ready for free installation on your Windows Phone from the Windows Phone Marketplace. I like the Prime Tube app for Windows Phone. It's a really beautiful YouTube client. Um, this article is full of run on's and bad grammar. Please fix, PLEASE.